One Less Headache: Fun Art Sub Lesson! 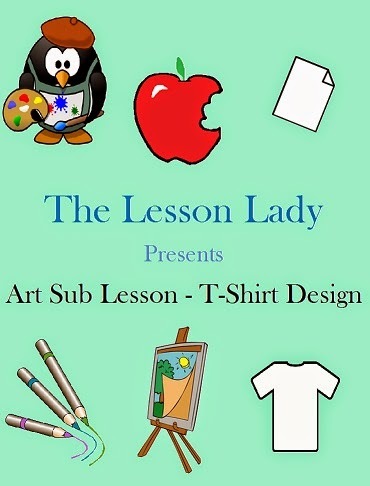 If you are looking for a fun art project that is ready to use for a sub, this lesson is perfect! 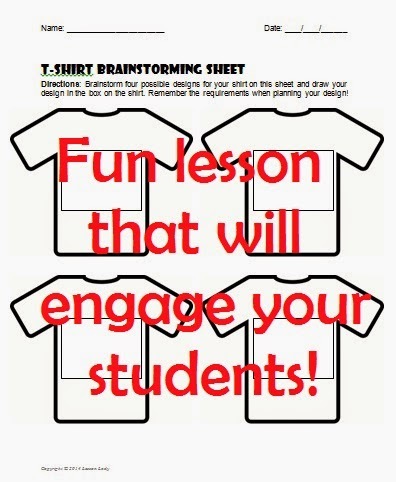 Students will have fun designing and promoting a t-shirt during this lesson that is designed with a real world purpose. This is a lesson I have left for a sub before in my own classroom and had success with so I hope this means it will work for you as well! If you're interested in this lesson, check it out on my TPT store.